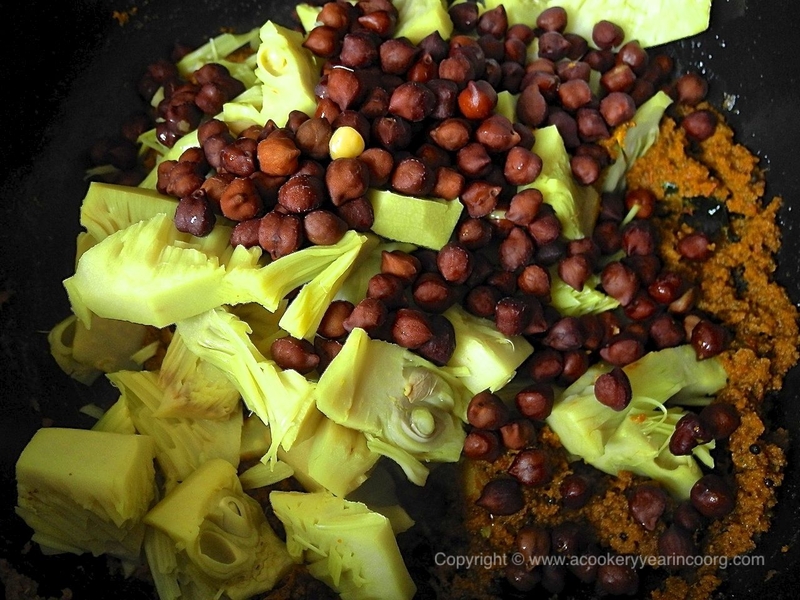 Dry fried tender unripe jackfruit with brown chickpeas in a spicy coconut masala. Heat the ghee in a large pan, kadhai, or wok. When hot,add the mustard seeds,allow them to sputter, then add the cumin, garlic, curry leaves and turmeric. Fry on low for about a minute. Increase the heat to medium, then add the ground masala and cook it for about 7 to 8 minutes, add the cooked jackfruit and the chickpeas. Mix well and cook all for another ten minutes.